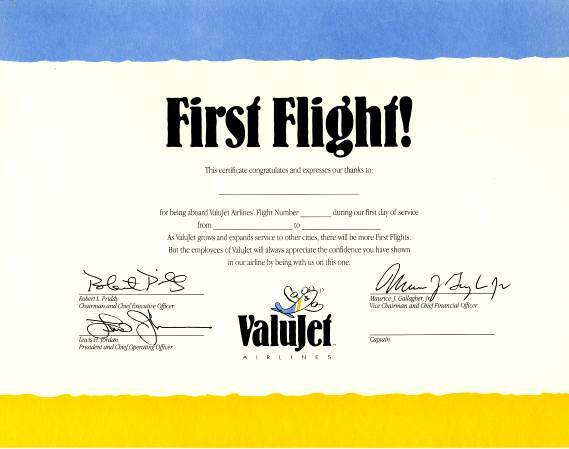 Beautifully printed unissued First Flight certificate from ValuJet Airlines made in 1993. 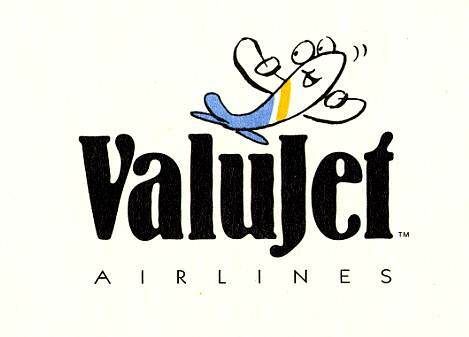 This historic document was given to all passengers who flew the airlines on when they started service in 1992. 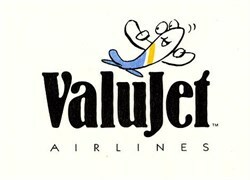 This item has the printed signatures of the Company's President ( Robert L. Priddy ),Chief Financial Officer ( Maurice J. Gallagher, Jr. ), and President ( Lewis H. Jordan ).